If you were to ask a business owner what is his wish list? More customers of course! What comes after? More website traffic…. Exactly how do you know your website has clicked with its target audience? More Website traffic means it has clicked as it drives business growth. You can generate more leads, increase conversions, and get more customers with more traffic. But, how do you get more traffic on the website? 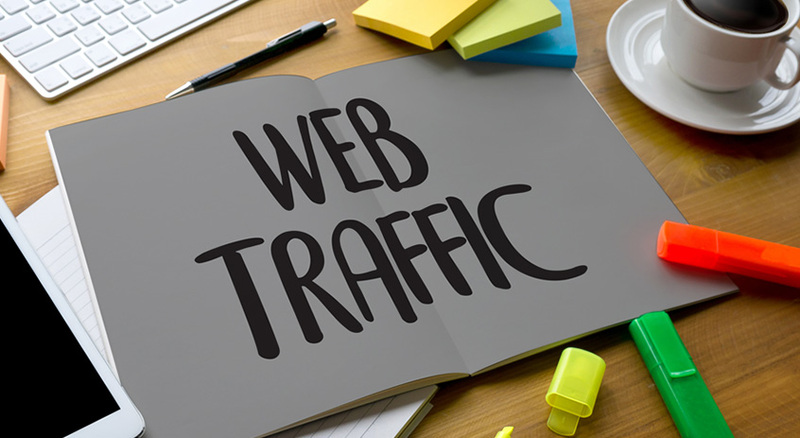 Website traffic gives you an insight to see if your marketing is bearing fruit & the way your audience takes decisions. You can improve your SEO and search engine credibility with this. World wide Web is crowded with more than a billion websites, with new ones being created, day by day! But you’re not here to attract all internet users, only trying to get more people in your target audience to visit your site. These simple techniques can serve to increase the amount of traffic to your website. SEO has come out as a proven technique to increase website ratings in search engines & more visibility. On page SEO by Cedar Software Technologies, a provider of professional SEO services in Cochin, consists of incorporating high-quality content that your audience is searching for, and writing concise meta descriptions for your pages. This generates interest & will result clicks from visitors. Get listed in online directories and review sites for more website traffic. Your profile here will have a link to your website. Hence updating these listings and getting positive reviews is a sure-fire way to add more visitors to your website. Social media is grabbing attention nowadays! Use it to promote blog posts and other useful content on your website & drive your social media followers to your site. Extend your reach with fitting hashtags to posts. Great landing pages tend to drive traffic to your website. Try to create landing pages specific to your offers like starting a free trial, redeeming discount codes, downloading a free guide etc. Stay connected with people! You can send out regular newsletters and promote offers through email. Useful information and links to pages on your website to learn more, links to blog posts will engage the target audience. The easiest way to get more people to visit your site. Social media, paid search, and display advertising are all excellent channels for advertising to boost website traffic. Active participation in online groups and websites relevant to your business and community is a big way to attract attention! The more you engage, comment on blogs and social media posts, answer questions on queries and participate in conversations, the more exposure and profile visits you get. Well that’s just about it on how to get more traffic to your website. If you try to do it alone, the ride can be rather difficult. Get professional help from Cedar Software Technologies for digital marketing in Cochin & watch your website traffic grow day by day! Previous Previous post: Better hacks to better SEO that can be effectively used.